When you set out to establish your own business, one of the most important things to keep in mind is that you establish a business that offers services that are in high demand with limited competition in order to be successful. 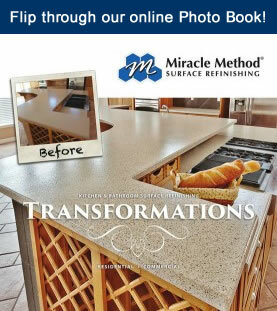 As surface refinishing is a service that any building with a kitchen or a bathroom can use and has limited competition, it makes sense to own a Miracle Method franchise. Our services are recession resistant. Business gets better when budgets get tighter, as that’s the time when homeowners are looking to save money while receiving a good value. Our work schedule is family friendly. Most franchisees work from 8 a.m. to 5 p.m. Monday through Friday, but advance scheduling will allow you to have flexibility with your schedule. 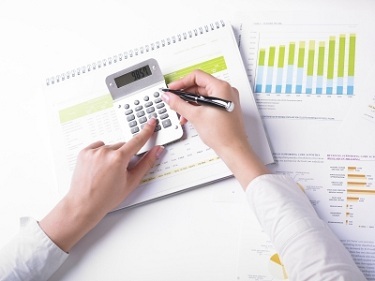 You can expand your business with ease, and each time you hire a technician, your sales and income will multiply. There are lots of other advantages to owning a Miracle Method franchise, and if you’ve been looking for an opportunity to take control of your future, it’s a great time to consider the benefits of owning a Miracle Method franchise. Visit our website or call 1-800-444-8827 to request information! 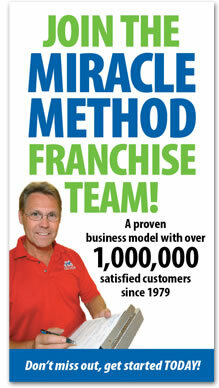 Great Demand and Customer Base for Miracle Method Services! What determines a great business? A great product or service, that’s what. Miracle Method provides both! Miracle Method provides high quality refinishing services that are perfectly suited for homes, dormitories, hospitals, office and apartment buildings, hotels, military housing and more. Their services and products are in high-demand across the US and Canada! When looking at the success of Miracle Method, it’s not difficult to see where it comes from. According to the U.S. Department of Commerce, roughly 45 percent of the $250 billion that Americans spend on remodeling goes towards their bathrooms and kitchens. Consumers are quickly finding that remodeling is way too expensive and time-consuming, and that simply refinishing their countertops, tile, bathtubs and more, is not only more affordable, it also makes them look brand new! In fact, refinishing can save you up to 75 percent over the cost of replacement! This is without mentioning the fact that refinishing is a much more eco-friendly option since you won’t be contributing to the production of new fixtures, their transportation to your home or the waste of throwing away old fixtures. To “Get Started” in your journey to becoming a Miracle Method franchise owner, give them a call at 800-444-8827 or visit their website today.